Y’all. I can’t believe I’ve been single for almost 3 years! These past couple years have been an awesome journey of self discovery and getting to know myself as well as figuring out what I truly look for in a partner. I’ve had so many amazing life experiences that never would have been possible had I not made the decision to part ways with my ex back in 2015 (we’re still friends; it just wasn’t our time anymore). I hate the stigma surrounding single people that we’re all lonely and waiting around for a partner so that our lives can finally start. News flash: just because you’re single doesn’t mean you’re lonely! Dating has allowed me to meet so many new people, create meaningful connections, and go on countless fun adventures. My friends in relationships say if they ever became single again, they wouldn’t know how to do the whole online dating thing. I swear it’s not as scary as it seems! When I first entered the world of online dating, I had no idea what I was in store for. 2016 was the year I really gave dating a shot & said yes to A LOT of potentials; by the end of that year I had gone on at least ~26 first dates and even wrote a blog post about all of them (the good, the bad, and the cringe worthy) which is still my most read blog post to date. In 2017 I took a breather over the summer to focus more on myself which in turn led me to become even more comfortable in the online dating world once I decided to get back into it. 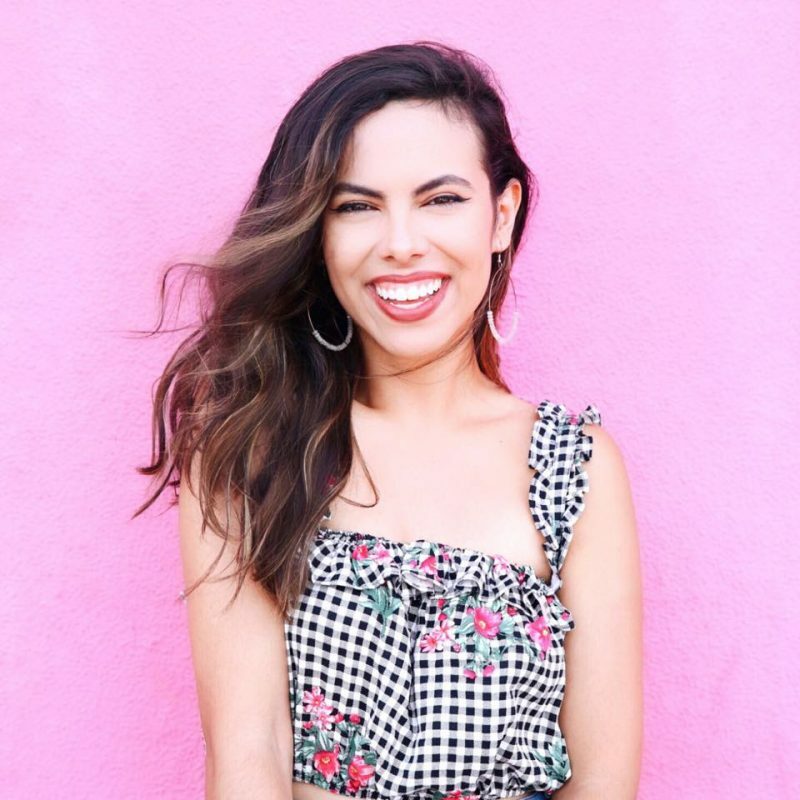 Today I’m excited to be partnering with Plenty of Fish to share the 3 most important tips I can give about online dating and portraying your true self. 1. A good ice breaker is key. Here’s the thing, whether you’re a girl or guy, no one likes to get the same “hey” message a hundred times. In fact, I ignore those messages altogether. I used to think it was only guys that sent messages like this; however, I took a look at my guy friends’ profiles & they get the same thing from women! To me, a generic message with no thought means the person didn’t even bother to look at my profile. Like, hello? You couldn’t think of anything else to say to me other than “sup”? The first time you talk will be through these in-app messages, so it’s important to have a more meaningful conversation that will set the tone for your first date and likely lead to a positive overall experience together. Instead of the usual, “Hi how are you?” ask something that would make them think, like, “What’s the last thing you did for the first time?” or “If money didn’t matter, what career would you want?” or “What’s the most spontaneous thing you’ve ever done?” See what I mean? 2. Your photos should be updated appropriately & actually represent you. It’s so annoying to me when men don’t use the maximum limit of photos they’re allowed. How am I supposed to get a sense of the real you when your only photos are of you at a wedding 3 years ago, a pic with your back facing the camera letting me know you’ve been to the Grand Canyon/Thailand/Mexico, and one of you holding up a giant fish you may or may not have caught (usually with a hat & sunglasses covering your face as well)? On that note, photos of you in sunglasses should not exceed more than half your total number of pics, you should show your teeth in your smiling pics, and photos of you far away traveling somewhere or doing something cool should be kept to a minimum (and can we do away with the blurry mirror selfies of you at the gym? Or is this just wishful thinking). 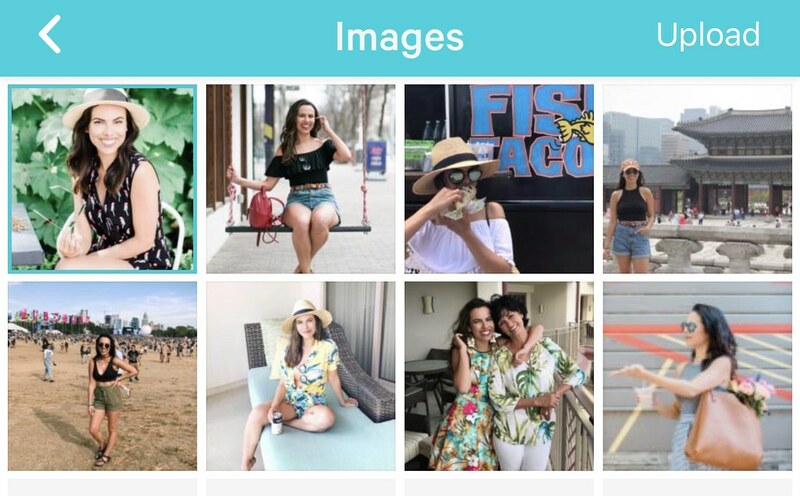 Plenty of Fish is great because you can upload up to 8 photos, or if you upgrade your account you can have up to 16 photos! So yeah, no excuses, people. The first two pics are obvious ones of what I normally look like on the average day. No sunglasses, teeth showing, and wearing something you’re more than likely to see me in (AKA not at a wedding). The rest of my pics all represent my personality and what I care about in some way or another whether that be stuffing my face with food, music festivals, travel, or my mom (duh). That last pic is a funny outtake from a photoshoot of me making a weird face at a passerby just to show that I don’t take myself too seriously. I’M FUNNY, DAMMIT. 3. Trivia nights make the BEST first dates for good conversation. In the beginning, I used to ONLY get drinks or coffee as a first date with people I was meeting from a dating app. At first it was exciting, but it quickly became a dull routine of regurgitating the same facts about myself over & over. I became less inclined to go on dates because I was already bored at the thought of doing the same ol’ thing. Then I discovered trivia nights at a local bar held every Tuesday and decided to change things up. Talk about a game changer, y’all! Trivia nights involve everything you need for a stress-free first date including an activity that sparks conversation, opportunities to get to know each other better, and booze to loosen up (just kidding, but it’s there if you need it for liquid courage, haha). I always have fun–even if me & the guy totally bomb all the questions. Trivia nights allow you to have more meaningful conversations because you’re being asked questions that have to do with a variety of topics such as music, politics, tv, current events, movies, pop culture, and general knowledge that lead to interesting discussions with your date that give you a sense of who they really are. It’s a different experience every time, so I never get bored! 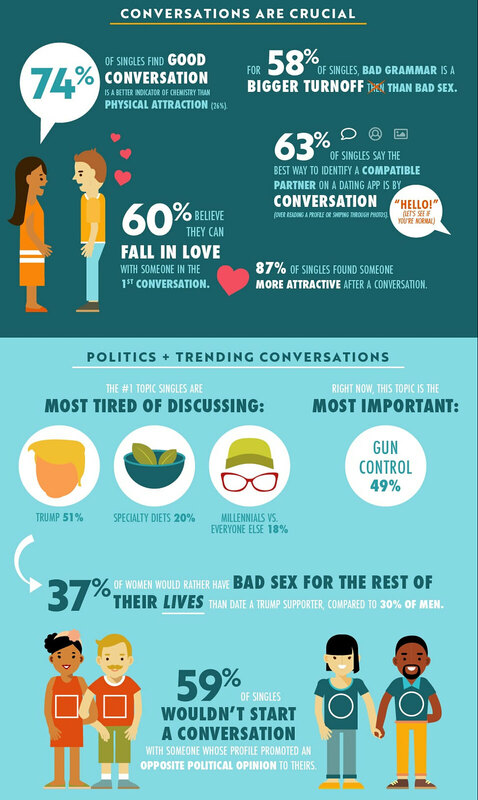 More things to talk about = more likely to have a successful first date that leads to more dates. I recommend looking up weekly trivia nights in your local hood & checking it out next time you’re in need of a fun date idea. What’s your best dating advice? 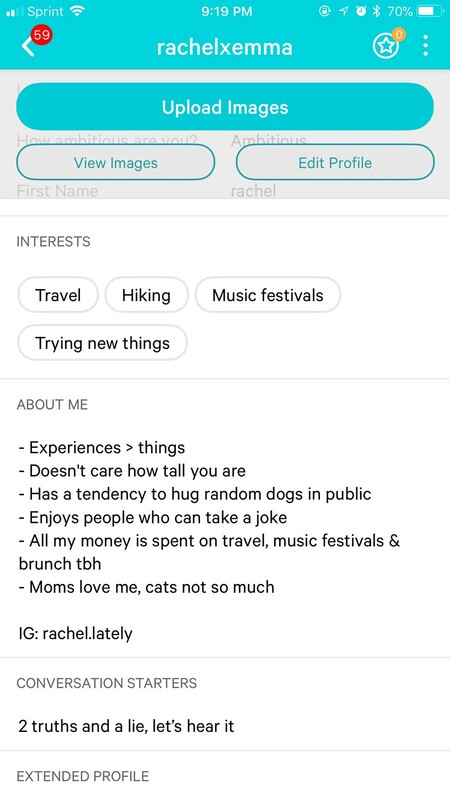 Ever done the whole dating-app thing or are you intimidated by it (if so, why)? Let me know in the comments below! If you’re in need of more dating tips, be sure to check out the Plenty of Fish blog! This post is sponsored by Plenty of Fish; all opinions are my own!